The Coiled Tubing string is made up of a continuously milled pipe with specific material characteristics that allow the pipe to be injected into the wellbore and also spooled on and off the reel assembly. Typical specifications of a Coiled Tubing string are the Outside Diameter, Wall Thickness, Length and Material Grade. Smape can offer several different sizes of CT string ranging from 1” to 3” ½, depending on desired performance, weight limitations and well completion internal diameter. Wall Thickness is directly related to Coiled Tubing performance in terms of strength and allowable internal pressure. For the most challenging conditions, internal Tapered Strings with a variable wall thickness are available to perform a specific task. 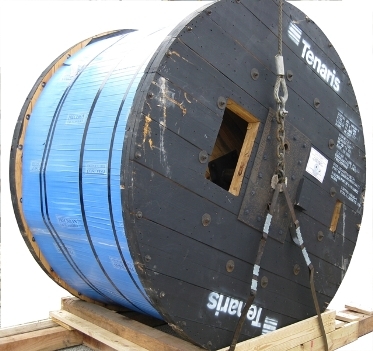 The length of a Coiled Tubing String is chosen for every application according to the desired depth and must be compatible with the reel capacity and size / weight limitations on site. 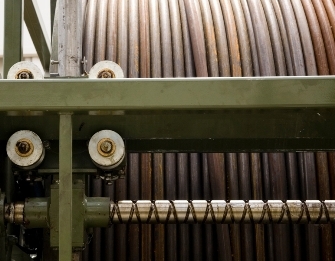 Coiled Tubing Strings are subject to fatigue when cycled under pressure during tripping in and out of the well. Before, during and after each job a dedicated and proven software simulation of the forces acting on the string, the fatigue and the hydraulics of the operations are available to the job designer and operator. Smape continuously monitors and records the fatigue of all strings and can provide remaining operative-life prediction and integrity monitoring. To optimize the quality of Smape service, the engineering team uses dedicated software and experience gained in the field to propose special string designs that can be used in particular well conditions, for example H2S, CO2 or acid environments.